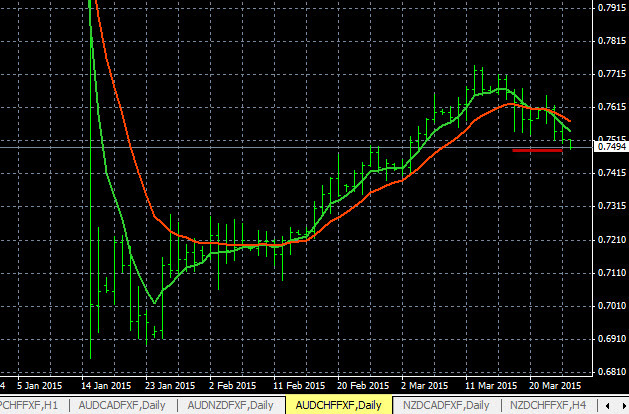 This is the AUD/CHF currency pair on the D1 time frame. The trend is now pointing down. We are setting a price alert at the 0.7505 price level, noted by the red line. Below there check The Forex Heatmap® for sell signals to validate the sell trade. This pair has some support at 0. 7400 and the next level below there is 0.7200. The analysis was performed using exponential moving average trend indicators we provide to our clients at no cost. Then we apply multiple time frame analysis of trends across all of the AUD and CHF pairs to properly analyze the AUD/CHF pair. 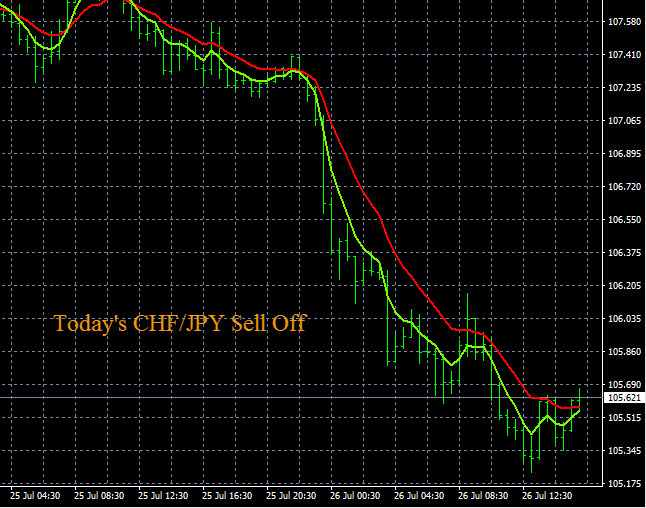 Today in forex trading the CHF (Swiss Franc) was weak on all pairs. You can see the trading alerts below on The Forex Heatmap®. 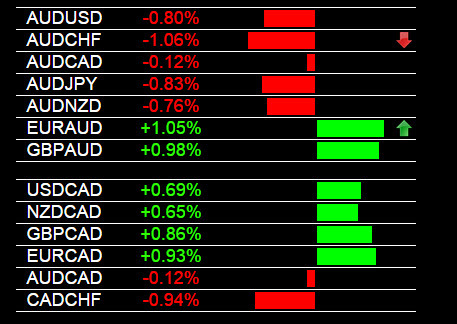 The CHF weakness drove substantial price movement on these pairs. The AUD/CHF moved higher and this pair is now at one fairly strong resistance level, so we would consider some profit taking at these price levels. The CAD/CHF moved higher and is likely going to continue higher on the larger time frames and trends as it looks like it is breaking out of resistance. The heatmap gives clear visual alerts indications of strength and weakness for 8 currencies and 28 pairs, for guiding buy and sell decisions.